Seating for this very special evening will be very limited. Once upon a time, more wine was made in the Alta Langhe area of Piemonte than Barolo, Barbaresco and the Roero combined, but after the second World War, when jobs flowed to the cities and a more modern agri-business style of farming and wine production made scratching any sort of living from these vertiginous hills an impossibility, the area was virtually abandoned. Fast forward to the late nineteen eighties when Swiss sommelier Christoph Kuenzli had opportunity to taste at the cellars of one Antonio Cerri, the last remaining vigneron in the hamlet of Boca. After the tasting, Kuenzli became so obsessed with the potential for great winemaking there, he dedicated most of the entire following decade to assemble enough tiny parcels of old neglected vines and sprawling Alder forest to create his dream estate- Le Piane. 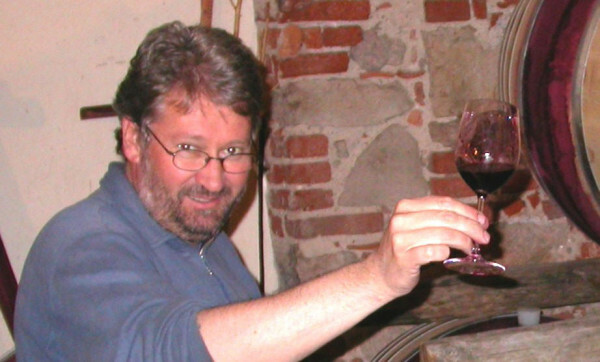 The results have surprised and amazed everyone who tastes wines like the Le Piane Maggiorina, a field blend of the twenty or more indigenous grape varieties he found growing in a century-old plot trellised in the bizarre fashion of the old farmers. Christoph’s wines are profound and have redefined what is possible in these Alpine hills. The story is one you’ll want to hear in person. Join Christoph and enjoy his groundbreaking wines alongside a menu created just for them by Chef Peter.